We are engaged in offering a wide range of Electrical Safety Audit Services to our valued patrons. We are the international standard for energy management. It provides an effective framework for making the best use of energy and shaping your organization's commitment to continually improving its energy management. The fire safety audit is an examination of the buildings / structures and relevant documents to ascertain how the buildings are being managed regarding fire safety. In other words it is aimed to assess the building for compliance with the National Building Code of India, relevant Indian Standards and the legislations passed by various state governments and local bodies, on fire prevention and life safety measures. Safety Audit is a form of risk analysis and evaluation in which a systematic investigation is carried out in order to determine the extent to which the conditions are present that provide for the development and implementation of an affective and efficient safety policy. The main objective of safety audit is to carry out a systematic, critical appraisal of all potential hazards involving personnel, plant services and operation method, and to ensure that safety and health system fully satisfy the legal requirements. Depending on the requirements of the occupancy, the audit can focus attention on various aspects of a safety system such as fire and explosion prevention, protection and emergency management. Fire Safety audit is found to be an effective tool for assessing fire safety standards of an organization or an occupancy. It helps the people to identify the areas for improvement and evolve an action plan. A comprehensive fire safety audit is a structured and systematic examination of an organization or occupancy to identify the hazards from fire. In other words, the fire safety audits are structured to check current adequacy of components, services and equipment; report of the expected performance, make recommendations for the compliance with the existing building rules, regulations, codes and standards, and the requirement of providing a safe place for living or carry out commercial or industrial activities. It is presumed that a comprehensive fire safety audit can cover various aspects which are related to design, operation and maintenance of the facilities, and even the review of inherent fire hazards associated with the day to day activities in a building. It assesses the building for compliance with the existing building codes, national standards and the building fire safety regulations. In addition to complete building auditing, they can even be tailored to suit a specific fire protection system. The audit findings are generally published in a report which also provides recommendations on how to remedy any non-compliance that were identified. Thus the fire safety audits will allow us to identify any non conformances and / or provide recommendations to the client allowing them to attend to these matters and therefore seek to achieve compliance with relevant legislation. It may be remembered here that the fire safety audits are not limited to a desk top review of available documentations or a visual inspection. On the contrary an active system test can also be carried out to ensure all systems operate and interface as designed and included in a fire safety audit report. 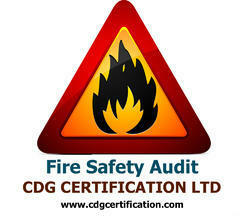 Contact us for fire safety audit. CDG provides quality management system certification in India. SO 9001 Quality Management System certification by URS indicates organization's adherence to QMS - Quality Management System requirements and practices and URS as a truly QMS Auditing Firm to ISO 9001 Certification, offers Value Auditing Services in QMS Auditing because, no matter the type of organization, the Auditing Services of URS are designed to meet Global Standards that deliver Credibility in QMS ISO 9001 Certification. 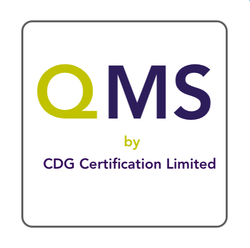 To achieve QMS objective, professionally trained auditors are deputed to identify 'Opportunities for Improvements' in QMS ISO 9001 Certification. 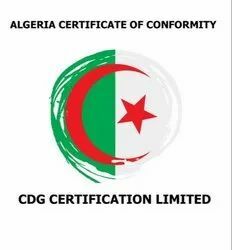 The Algerian Ministry of Commerce published a note in March 2011 to all importers reminding them of the obligation to submit a proof of conformity by way of a certificate of conformity or certificate of quality for all exports to Algeria; this is to ensure that they meet legal and regulatory requirements that affect them. This obligation is enforced by law 09-03, dated 25/02/2009, and decree 05-467 dated 12/12/2005, on conditions and procedures of conformity control of imported goods at customs. Intertek can help exporters to Algeria in complying with this notice by offering inspection services to obtain the necessary Certificate of Conformity. The required Certificate of Conformity can also be referred as the “Certificat de contrôle de qualité”. The original copy of the Certificate of Conformity is needed for every shipment and should be issued in the country of export. It is a mandatory document for Algerian Customs clearance. Algeria’s Quality Certificate ensures goods meet mandatory safety, quality and security requirements, enables international trade, avoids delays in customs and reduces potential losses from the import of non-compliant products. Kuwait's market for imported goods has expanded rapidly. To assure Kuwait's consumers of the safety and quality of imported goods, the Public Authority for Industry of the State of Kuwait (PAI) has implemented guidelines to verify the conformity of all 'Regulated Products.' These guidelines are diligently enforced, and form the Kuwait Conformity Assurance Scheme (KUCAS). The Public Authority for Industry of the State of Kuwait (PAI) implemented specific guidelines to verify the conformity of all 'Regulated Products' that are exported to Kuwait.' These guidelines are diligently enforced, and form the Kuwait Conformity Assurance Scheme (KUCAS). Exports to Kuwait of these products 'Regulated Products' require a Technical Evaluation Report (TER) and a Technical Inspection Report (TIR) to clear customs. 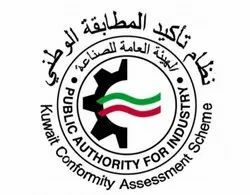 The KUCAS scheme consists of a group of procedures carried out by PAI to verify the conformity of all ‘Regulated Products’ to Kuwait’s Technical Regulations on imported and domestic products alike in accordance with the regulations of this scheme.